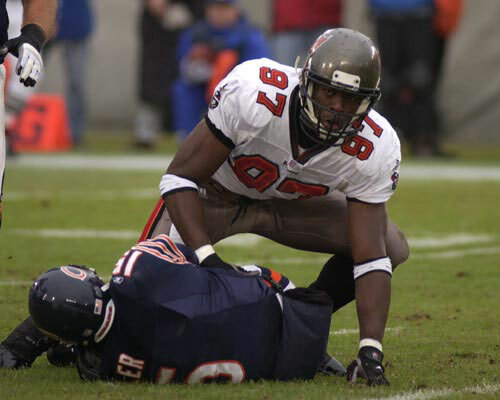 BUCS: Dunn 10-27, Alstott 7-23, B.Johnson 1-11. BEARS: Thomas 31-173, Booker 1-13, Johnson 3-11, Allen 2-9, Miller 3-1. 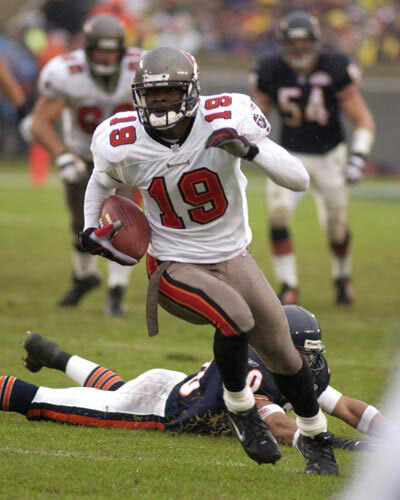 BUCS: K.Johnson 7-119, Dunn 4-28, Alstott 3-12, Williams 2-18, Moore 2-14. BEARS: Terrell 3-94, White 3-32, Booker 3-19, Baxter 2-28, Davis 1-8, Thomas 1-5, Shelton 1-4. BEARS: McQuarters 1-0, Parrish 1-0. BUCS: Murphy 3-73, Stecker 1-21. BUCS: Rice 2-15, Jones 1-3. The low point of the 2001 season. 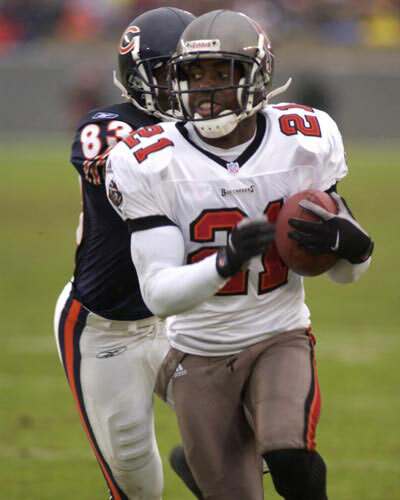 The recent weeks of offensive futility caught up with the Bucs as they conceeded 27 unanswered points to the Bears who were on their way to the division title thanks to a sweep of Tony Dungy's team.